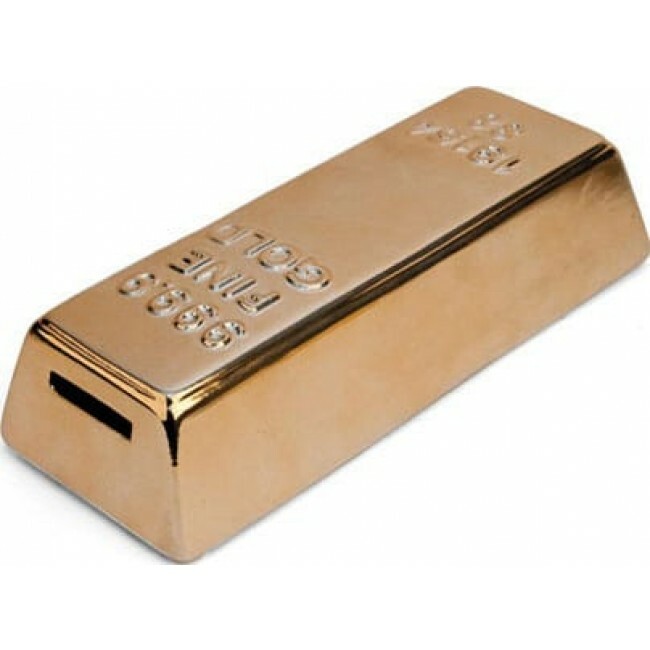 Gold Bar Ceramic Money Bank L 7.75" x W 3.25" x H 2". Weight 0.66 lbs. Turn your change into gold by saving it in this Gold Bar Coin Bank. Made of ceramic, features a rubber stopper to remove coins, 7.75" x 3.25" x 2," Weight 0.66 lbs.